The global shipping consultancy's latest edition of Dry Bulk Forecaster has revised short term charter rates because of the two-year postponement to ballast water management system (BWMS) implementation, bringing down the forecast for demolitions that will eventually support fleet growth. Despite the increased fleet supply, Drewry has forecasted that charter rates "will strengthen because demand will grow faster". It reported that IMO regulation implementation in 2019 and 2020 will cause recovery rates to become more prominent. The consultancy's statistics revealed that tonne mile demand will grow at a healthy pace of around 3% annually over the next five years while fleet supply is expected to expand at a rate of just 1% a year over the same period. Low deliveries have also caused a slowdown in fleet growth, with a thin order book and high demolitions resulting from the upcoming environmental regulations. However, demand is forecasted to improve with the strengthening of iron ore, coal, grain and minor bulk trades, with the rise in infrastructure activities in China supporting imports of iron ore and other minor bulk commodities. India’s re-emergence as a significant iron ore exporter is one of the major events mentioned in the report that will decide the future of the dry bulk market. Indian iron ore exports have grown from 4 million tonnes in 2015 to more than 20 million tonnes in 2016 and are expected to be more than 30 million tonnes this year. 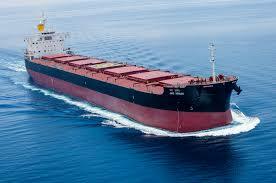 Rahul Sharan, Drewry’s lead analyst for dry bulk shipping, said: “We believe India’s return to the seaborne iron ore market will have wide implications for the dry bulk trade in the coming quarters. Drewry reported that the increase in iron ore exports from India will provide additional employment opportunities to Supramax and Panamax fleets, and marginally to the Capesize fleet.